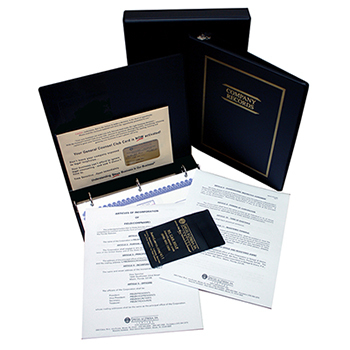 Remember, our service is Complete and INCLUDES FREE State Filing Fees, Corporate, Company or Partnership Seal and Book, Certificate or Articles of Incorporation or Organization or Partnership, Company, Corporate or Partnership Minutes, Corporate By Laws or LLC Regulations, Membership or Stock Certificate, Preliminary Name Search and even includes Attorney's Fee. 110% PRICE GUARANTEE At Spiegel & Utrera, P.A., we want you to get our knowledge and experience at the lowest price. We are committed to making sure you always receive the best price and value on every purchase you make. Our 110% Lowest Price Guarantee is a testament to that commitment. If you should find a lower price on an item we offer from a legitimate competitor, whether online or otherwise, even if that item is already on sale, we will not only meet 100% of the lower price, we will beat the price by an additional 10% of the difference to thank you for bringing it to our attention. Incorporate Online by selecting an entity type from the drop down menu below and then go to Step 2 to select the state of incorporation. Use the same menu below to order a Trademark, Copyright, Trade Dress, Trust, Power of Attorney, Advanced Health Care Directive or Preparation of Last Will and Testament. Spiegel & Utrera, P.A. accepts any valid Credit Card or PayPal Account. Unless you request otherwise, NO CHARGES ARE EVER PROCESSED UNTIL WE SPEAK WITH YOU FIRST. A client account is not required to place an order, however, a Spiegel & Utrera, P.A. client account provides a way to "Save Your Order" and to retrieve an unfinished or completed order at anytime. If you want the option to finish your order or view a completed order at a later time, you must have a client account. Creating a client account takes approximately 1 minute. After creating a client account, you can place your order immediately and view other unfinished and completed orders. Also, if your ordering process is interrupted, you will be able to re-access your uncompleted order. Additionally, you may return to see your order history and use any of that information to create additional orders. Enter Login Credentials below to login to your Spiegel & Utrera, P.A. Client Account. It is not necessary to have a client account to place an order with Spiegel & Utrera, P.A. Email ID: Password: Forget Password? We realize that completing the fact sheets associated with the service selected can be confusing. If so, simply provide the required contact information and click continue at the bottom of the page. Keep clicking "continue" at the bottom of each page until you submit your order! Visit our Contact Page and submit a request to discuss your business formation, intellectual property or asset protection needs immediately or contact the office closest to you. We have made every effort to design our order forms to suit all our clients. If you experience any difficulties in placing your order, please give us a free call and we'll take your order over the phone: 1-800-603-3900. Spiegel & Utrera, P.A.® offers a wide range of items to protect you and your families assets and rights. Our service is complete and include a draft of the documents for your review and to make reasonable changes upon request. Select an asset protection service, trust or will from the drop down menu above to place an order. Spiegel & Utrera, P.A.® offers a wide range of services relating to and to the maintenance of your Trademark, Copyright or Trade Dress Registration. Select a Trademark, Copyright or Trade dress service from the drop down menu above to place an order.